Among the signatories of the letter are the Italian Forum of Water Movements, Right2Water Ireland, Eau Secours and the Association des Consommateurs d’Eau de la ville de Sète in France, and the Association for International Water Studies in Norway; the Italian trade unions FIOM-Cgil and USB, representing 360,000 and 250,000 workers respectively, as well as the Teachers’ Union of Greater Lisbon; Italy’s one million member strong Associazione ARCI, the Belgian NGO coalition CNCD 11.11.11, Italian NGOs Cospe and Un ponte per…, and Umanotera, The Slovenian Foundation for Sustainable Development. 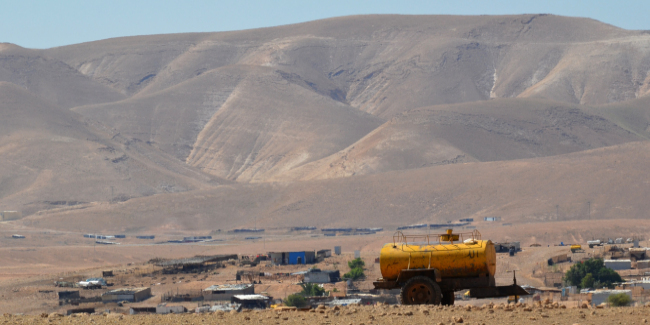 The European Commission also granted patronage to the 2013 and 2015 editions of Watec in Tel Aviv, where the main sponsor was Mekorot, Israel’s national water company documented by organizations such as Amnesty International as appropriating Palestinian water resources and supplying water to Israeli settlements. Additional sponsors and participants include settlement based Ariel University, companies providing services to settlements such as Netafim, Tahal Group International, Hagihon, KKL/JNF as well as Elbit Systems, one of Israel’s leading producers of weapons and surveillance systems used against the Palestinian population and along Israel’s Wall.